Despite a long and uneven history, Major League Baseball�s Washington franchises have hardly been the stuff of legend. However, in 1969, when new owner Bob Short coaxed batting legend and rookie manager Ted Williams out of retirement, these annual no-names climbed out of the depths and straight into the hearts of Washington baseball fans starving for a winner. Led by The Capital Punisher Frank Howard, whose tape-measure home runs sometimes seemed like optical illusions, the Senators simply won ball games with a determination rarely seen in D.C. environs. A Whole New Ballgame showcases the 1969 Senators� magical season, complete with player bios, photographs, stats, game action, and stories. 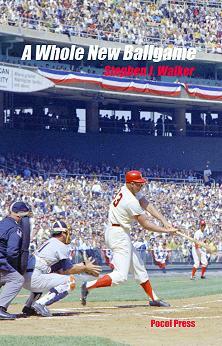 A Whole New Ballgame: The 1969 Washington Senators is also available as an ebook on Amazon.com for the Kindle.